Decades after Silicon Graphics' heyday, its supercomputers have found themselves a new home with a small community full of enthusiasts—some just teenagers. Hey all, Ernie here with a recent piece of mine that also showed up in Motherboard. In case you haven't read it yet, it's a good one and highlights both SGI and the the excellent community IRIX.cc. Read on, and hope you dig! 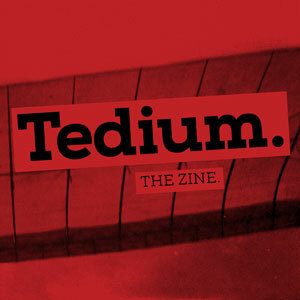 Your last chance: Starting Monday, I'm building the zines, and if you aren't a patron by then, you're going to miss out on the cool thing we're making! For those that haven't, read the details here and support us on Patreon at a $5 level or above to get your hands on something tangible. (There's also an $8 tier for international fans as well!) Act now before you miss your shot. The year Silicon Graphics first released its Indigo workstation computer. While not the first computer it released, it hit a price-performance range that put it in the reach of larger parts of the business world. (It cost $8,000, which wasn’t cheap, but was attainable.) 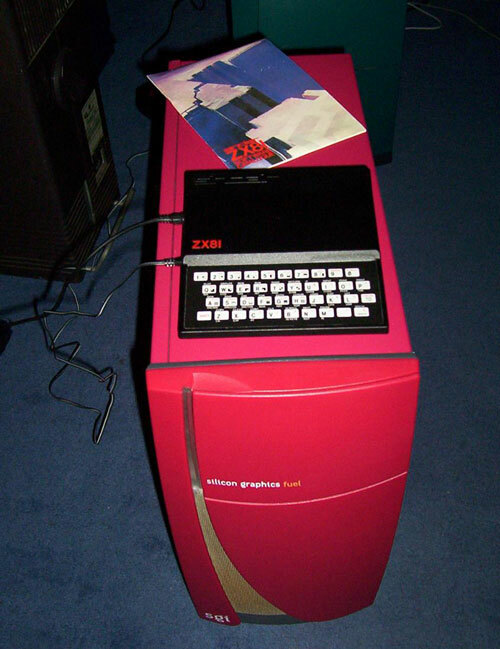 The machine, based on the MIPS architecture, became the one that defined SGI’s brand and reputation as a creator of hardware for the production of 3D graphics. Later SGI machines, such as the Indy, aimed at a lower-cost professional market, while larger ones, such as the supercomputer-powered Onyx line, focused on performance without compromise. 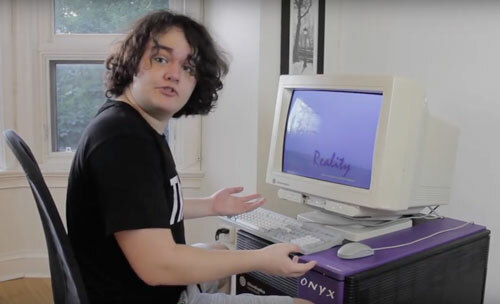 Something you might not pick up from a cursory watch of the video profile of the SGI Onyx, featured above, is that its creator, who calls himself Dodoid online, represents something of the new face of a relatively old form of computer collecting. One does not acquire a 250-pound Onyx supercomputer by accident. This is an incredibly complex machine—with graphics that were beyond state of the art at the time of its release and still hold their own today, loaded with gigabytes of RAM at a time when computers of its era counted RAM in the tens of megabytes, reliant on a MIPS chip architecture at a time when PCs used Intel and Apple used PowerPC, and with a facade that recalls a fancy air conditioner more than anything else—and Dodoid is deeply familiar with its many parts. Perhaps it’s for that reason, and his matter-of-fact approach to presenting the machine, that his video has received nearly 600,000 views on YouTube since it was posted last month. Dodoid, who prefers to keep his online presence separate from his his real-life one, was born in 2002, at a point when SGI was already in the midst of a lengthy decline in influence—and nearly a decade after SGI had its pop-culture peak after one of its workstations was sabotaged by Wayne Knight’s character in Jurassic Park. It’s a fascinating machine, but not exactly a common one. 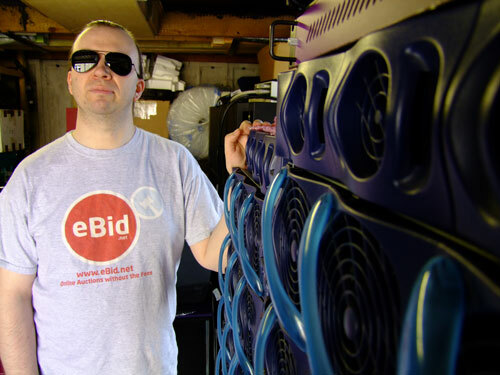 But long-timers in the SGI community, like Ian Mapleson, a British computing expert who has long run a website that sells equipment for the machines, were quick to compliment Dodoid’s work. The 16-year-old, who pays for his SGI hobby via a laptop resale business, finds himself a leading light in the SGI scene due in no small part to that passion, though shifts in the SGI community itself have also played a role: Just a few months ago, the main forum for the community, a site called Nekochan, was shut down, precipitating a subcultural sea change. Its founder, a man named Peter Plank (who goes by Nekonoko online), publicly blamed the shutdown on the challenges of complying with the European Union’s General Data Protection Regulation (GDPR). While GDPR played a role in the shutdown of a number of legacy data-driven platforms, most notably Klout, it’s possible that even a community of supercomputer enthusiasts would face the same kinds of legal problems, though a stringent regulatory rule like GDPR could potentially put any organization on notice. Nonetheless, Nekochan is gone. 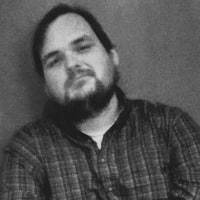 Plank, who I haven’t been able to contact despite multiple requests for an interview, hasn’t offered any further context as to the shutdown or whether the site, with its wiki and in-depth forums, will return in some way, but whatever his reasoning, the situation has created a deep information void in the SGI community. Mapleson noted that the site’s four-month hiatus has left a long line of broken URLs in its wake. “It’s been gone so long now that Google has wiped those entries from its search system as well, so now it’s almost as if the site never was,” he wrote. These machines, full of parts that could break down at any time and reliant on an operating system that stopped being officially updated more than a decade ago, have basically stayed alive out of the sheer will of its small community of users. With the shut down of Nekochan, that will was tested. Replacing this font of vintage workstation knowledge is IRIX.cc, a website intended to get around a Nekochan rule against reselling software, but now at the center of the SGI community. Raion, a 24-year-old Virginia sysadmin who helps run the site and asked not to use his real name for privacy reasons, said that Nekochan’s shutdown required him to significantly increase resources for the site. But the really hard part about it is the additional moderation need that the community requires. Considering the complexity of the machines, institutional knowledge is an incredibly important part of SGI’s continuing survival. But, when it comes to Nekochan, at least, one might wonder if the issues that come with running an online community for more than a decade played a role in its demise. Dodoid, who also asked not to use his real name, suggested the existence of an online community around SGI, even with the elements of friendship and camaraderie that naturally build up around hobbies of this nature, highlights something of a degree of necessity. To put it another way, he explained, IRIX.cc is the center of the SGI world because that’s where everyone has landed—whether they actually like the platform or not. The SGI community has only occasionally gotten notice from the outside world. In 2004, for example, the community got a shout-out from Wired, which highlighted many of the major players at the time, including Mapleson and Plank. But this kind of exposure is rare, and SGI systems don’t get anywhere near the notice that more mainstream vintage systems, like the Commodore Amiga, the Apple II, and the DOS-era IBM PC, have received. Which creates an interesting dynamic for folks that haven’t closely observed the SGI scene. 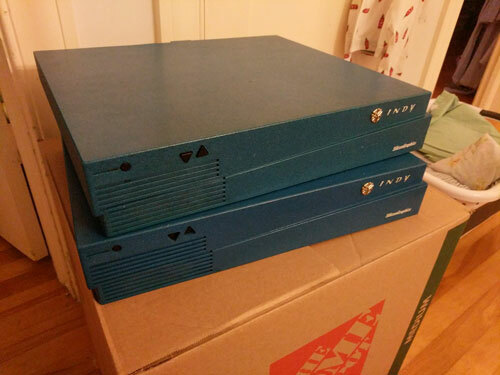 Retro collecting for SGI doesn’t work like you’d expect. You can get one for cheaper than you’d expect. While buying an SGI machine isn’t necessarily a cheap hobby, machines can be had at a deep discount if you know where to look—and that probably isn’t eBay. Dodoid got his Onyx, along with a desk-side variant of the Origin 2000, a specced-out O2, an Octane2, and a whole bunch of spare parts for $600 Canadian ($456 in US dollars). The secret? He bought from a Montreal-based collector who was looking to offload, and he was patient. On the other hand, Mapleson warns that the supply chain is thinning out as SGI machines become less and less common. “One can still find bargains, but it’s less likely,” he stated. Don’t even think about using the cases in a mod. SGI cases are particularly beautiful and well-designed, but by no means should you expect to gut one for the purpose of installing a mod. “Within the community, there’s a sort of unspoken agreement that SGIs are way, way too rare and ‘special’ to let this happen, and that any user trying to do this should not be sold an SGI,” Dodoid told me. “Hard to buy an SGI to stick a Mini ITX board inside if everyone who owns an SGI refuses to sell it to you.” Noting this interest, Dodoid came up with a 3D-printed case, styled after the SGI Indigo, that fits the ODROID single-board computer. There are a lot of moving parts. A. Lot. Dodoid’s breakdown of the Onyx highlights the sheer number of individual cards needed to run that particular machine, and if one of them breaks, it could be a huge headache. (Or, based on your demeanor, a fulfilling challenge.) Even with the smaller workstations, they have very specific quirks—one example that I frequently heard during my research was how older machines had keyboards and mice with ports that looked physically the same as the then-common PS/2 ports on PCs, but if you were to plug a PC-compatible mouse into one of these old SGIs, it could fry a machine. “Many people underestimate how different SGI machines are from PCs and Macs of the era,” explained Aaron Rogers, an SGI collector who runs the YouTube channel SiliconClassics. They can’t really be compared to modern technology. Just because many SGI machines have a reputation as speed demons, and a traditional cost that implies as such, doesn’t mean that they should be compared to anything modern—for one thing, their purpose is completely different. “SGIs still have some specialized uses, and there are still a few of them out there doing important jobs, but my Onyx is not gonna beat a modern consumer device as a games machine,” Dodoid explained. The thing about SGI that makes it interesting to consider from an online community standpoint is that, even though it’s fairly small now, it has a reach that dates back to some of the earliest days of the internet. Mapleson has experience on the SGI platform dating back to the days even before the web browser Netscape—a company cofounded by longtime SGI head Jim Clark—so as a result, he’s seen the SGI community shift a lot over the last quarter-century. Mapleson says that during the early 90s, hobbyists were fairly uncommon, and only appeared in force after the used market had built up to some degree in the late 90s. Before that, SGI-focused commenters came from academia, the business world, and even SGI itself, and would often use Usenet to communicate. The volatile nature of Usenet, the place where the flame war gained its name, was generally not as deeply felt on the SGI groups, which were not in the “alt” section and were moderated. Responses were generally delayed, which helped define the tenor of the general conversation, and the groups were helped along with detailed FAQs. Of course, all of these knowledgeable folks weren’t exactly welcoming to outsiders. “I remember one perfectly sensible question from a PC user who asked, ‘What is an SGI?’; the answer he received, ‘If you don’t know, you can’t afford one,’ was of course amusing to everyone else at the time, but it was also a sign of where things were going wrong,” Mapleson recalled. As the web era got going, a number of SGI enthusiast sites gained momentum (often with out-of-date designs that could be used on IRIX-capable web browsers), but one site or another faded from view or stopped getting updates. Nekochan, when formed in the early 2000s, was one of many sites focused on SGI issues. But it eventually became much more of a centralized resource for the community. The differences between Usenet and web technology, Mapleson noted, had an effect on the way people in the community worked with one another. Nekochan was active for around 15 years, outliving SGI itself and allowing the culture to coalesce around the site. During this period, the SGI employees faded from view and the hobbyists became more prominent. While people like Mapleson, who have a professional interest in the platform as well as a personal one, have maintained a presence in the scene, other long-timers have faded in and out of view. SiliconClassics’ Aaron Rogers, who was responsible for the discovery of the source code for the Nintendo 64 game Turok: Dinosaur Hunter on an SGI Indy workstation last year, notes that his interest in the platform has faded some over time. A community of this nature, focused on a line of computers that few people outside of the world of film, academia, and industry have even had a chance to try, is going to be by default fairly insular. If old-timers fall away, at some point, so does the institutional knowledge. That’s why users like Dodoid and Raion, young and fairly passionate about what the SGI platform represents, are so important to this community right now. Silicon Graphics machines, whether the workstations or the supercomputers, represent a interesting niche in retro computing, in that they’re machines that won’t likely be recreated in a “classic” form, that cost a sizable amount of money to collect, and in some form factors, can be very expensive to even maintain. They were at a higher point on the food chain, used in specialized places, and as a result the nostalgia factor isn’t quite so deeply felt. It’s the fascination that keeps these machines alive. “Once you dedicate that much effort to a hobby, it owns you,” he explained. It’s that level of dedication that might encourage potential upgrades in the future. Just as old-school PCs have found new life with CompactFlash cards in place of hard drives, and Amigas have seen processor upgrade cards that turn them into relative speed demons, there is interest in creating tools that can help SGI machines keep up in the modern age. 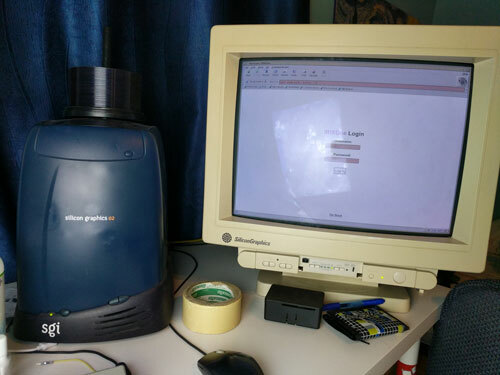 Dodoid's development rig, driven by a Silicon Graphics O2. Among other things, this could help solve a lingering problem for the platform: A lack of modern web browsers. Mapleson says that, even though he’s spent years selling various parts for SGI machines, this is the thing that prevents him from using an IRIX-based machine as a daily driver. He encouraged SGI enthusiasts to help support Dodoid’s work on this front. “If he can help bring to SGIs the ability to make use of the modern web in a manner that means one doesn’t suffer from the performance issues present on a standard SGI, that will make a significant difference to their usability,” Mapleson stated. 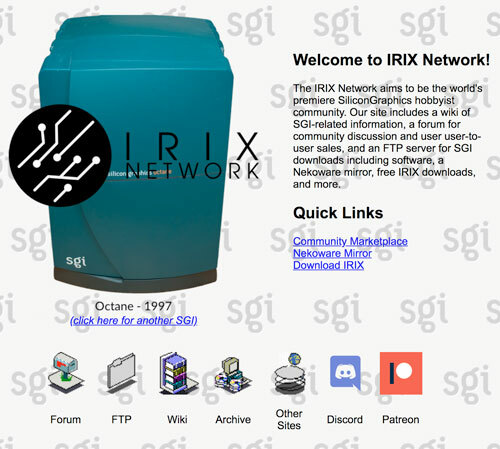 Of course, upgrades are one thing, but the real secret to making all this outdated hardware work effectively is the community—something Raion is very cognizant of as more potential SGI users, or one time Nekochan regulars, come out of the woodwork and land on IRIX.cc’s doorstep. Unlike the days of Usenet, Raion emphasizes the important of keeping a positive tone and welcoming approach—something that could help keep the interest in SGI alive.